Bay colt by the ill-fated, Horse of the Year producing sire in More Than Ready’s Golden Slipper-winning son Sebring, out of the multiple stakes placed Galileo mare Miss With Attitude, a half-sister to the stakes placed Oui Si Attitude, both daughters of the imported Flying Spur mare Sizzie ‘Em. This colt is just the fourth foal of the mare with her first two to race, both winners, with the current three-year-old Crown Towers (pictured below), a son of Camelot who is now in South Africa, having returned recently from a break for Snaith Racing, and has now been shipped from Cape Town to Durban for the upcoming KZN Champions Season with black type racing aims on the cards for him. The current two-year-old from the mare is a son of Snitzel named Snittitude who was a $450,000 Inglis Premier yearling sale graduate and now in the stable of Mick Price Racing. The mare foaled a son by American Triple Crown winner American Pharoah last season. 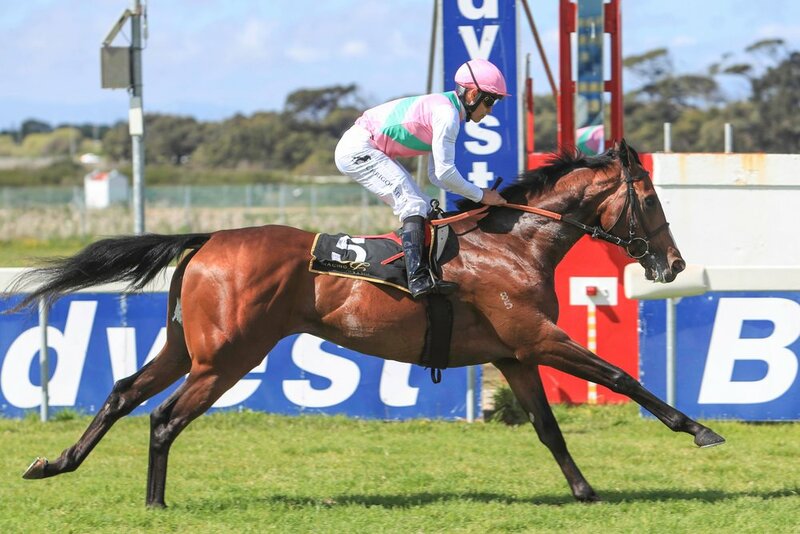 Miss With Attitude’s stakes-placed half sister Oui Si Attitude brings a new update to the family with her so You Think filly, So We Are who has recorded two wins and a Listed placed effort (footage below) since the catalogue went to print. From an exciting international pedigree that includes Group 1 winners Sharaya, Shawanda, Encke and Shareta, the pedigree of this colt contains both juvenile speed and classic class, not to mention that he is an outstanding individual. The Sebring x Galileo pedigree cross has only had one runner, a winner, while the similar More Than Ready x Galileo pedigree cross has five winners from six runners, two of which are stakes performers. Galileo as a broodmare sire has produced 224 stakes horses led by 23 individual Group 1 winners including The Autumn Sun, Unforgotten, U.S. Navy Flag and Night Of Thunder.